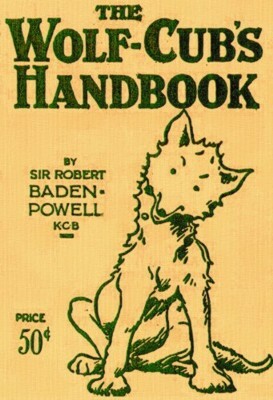 Wolf-Cub's Handbook - 1916 - Written by Baden-Powell and published December 2, 1916. 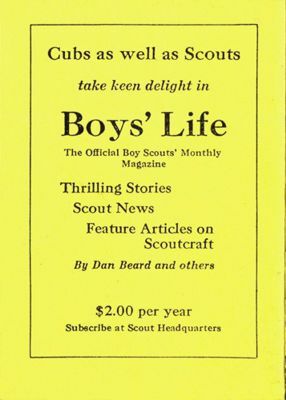 The first Cub Book, designed for boys from 9-12 years. 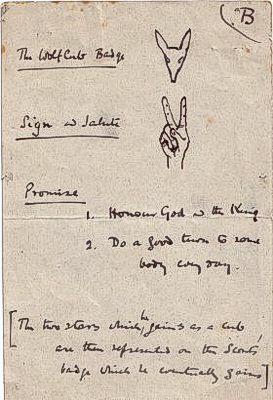 Elements were taken from Kipling's Jungle Book. 230 pages. BSA Edition - 1918-1928 - An American reprint sold by BSA to interested parties. "Price 50¢" in the lower left corner. Two variations are known: one with 1918 on the title page, and one with 1928. 230 pages. 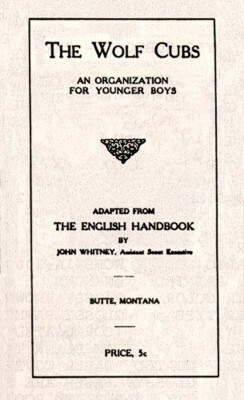 Butte Montana Handbook - 1920 - An adaptation of "The Wolf Cub's Handbook" by John Whitney, Assistant Scout Executive of Butte, Montana. Adapted for American boys, and selling for 5¢ a copy. 12 pages. 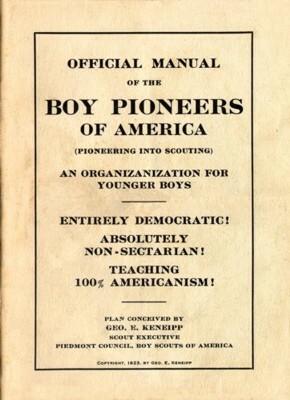 Boy Pioneers of America - 1923 - Written by George Keneipp of the Piedmont Council. One of the few Cubbing experiments not based on Kipling's Jungle Book. 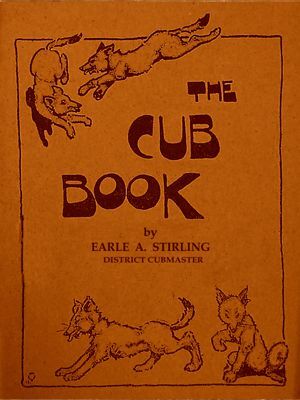 The Cub Book - 1924 - Printed September 1924 by Earle A. Sterling, District Cubmaster, Omaha, NE.  Approved for experimental use by Chief Scout Executive James E. West. 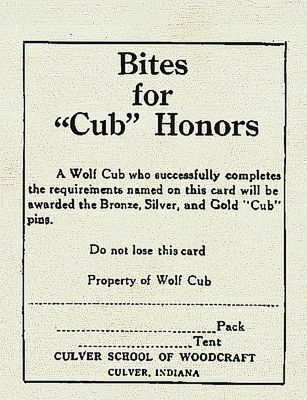 Bites for "Cub" Honors - This book came from the estate of a man who was known to work on the Culver staff in the summer of 1925. 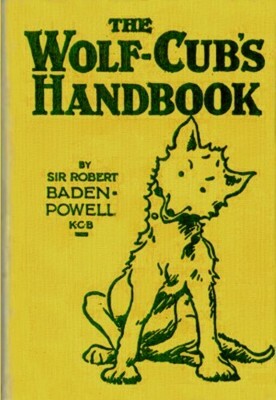 Handbook for Cubs - 1924-1928 - Written by the Honolulu Council, but authorized for use in other places. The text refers to the BSA but the badges are all British badges. 27 pages.